Homeowners insurance is vital for anyone who owns their property, whether that’s an actual house or a condominium. That kind of coverage can help to insulate them from some very serious financial risk if anything were to happen to a property. However, when people are tenants in homes owned by someone else, that can create some tricky situations in the event of an accident that leaves the property damaged. As such, having the right kind of renters insurance can help shield them from liability and better protect them financially if something were to go wrong. For instance, a massive condo building in Surrey, British Columbia, caught fire in late August last year, and the extent of the blaze was so great that about 100 people were forced from their homes, according to a report from AM 640 Toronto. In all, about 77 apartments were evacuated, leaving victims – many of whom are senior citizens – homeless at least for a while. Officials in Surrey quickly began coordinating with local organizations to see what could be done to help them, including starting a donation website, but in the immediate aftermath, those people were sheltered at a senior center in nearby Newtown. 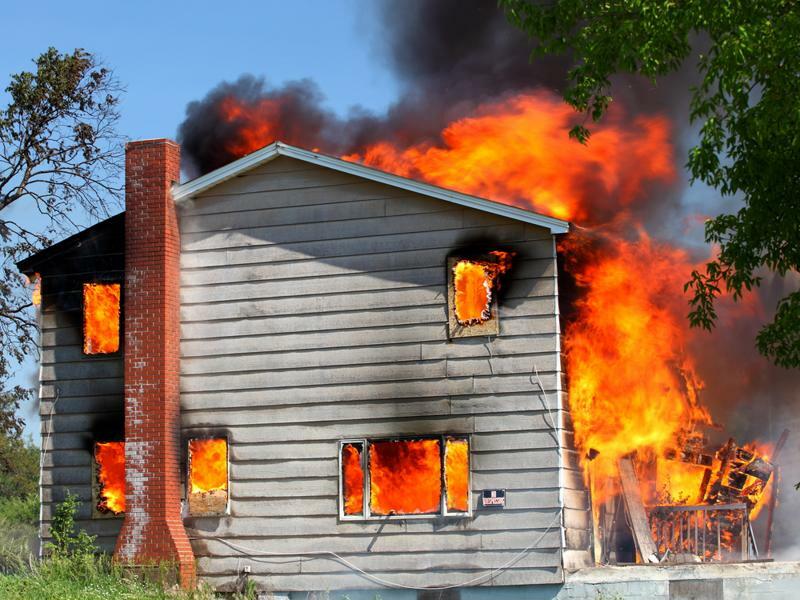 Incidents like home fires and more can put tenants in tough positions. The blaze itself is not considered suspicious at this time, and fire officials quickly ruled out the possibility that it had started due to a grill fire, the report said. However, plenty of other options are still on the table. In all, this was a four-alarm fire that took fire crews hours to extinguish. Earlier this summer in Scarborough, Ontario, a totally different situation forced tenants from a house they were renting, according to CTV Toronto. There, a van plowed into the side of the home around 3:45 in the morning and the damage was so extensive that the owner said the tenants had to move out while it was being repaired. The van had been involved in a police chase, and when officers finally caught up to it, it had already gone through one of the home’s wall and caught fire. Fortunately, none of the residents were hurt in the accident, which caused considerable structural and fire damage to the home, the report said. The driver was taken into custody after suffering minor injuries. He was able to get away from the scene of the accident but was found hiding nearby a short while later. These incidents highlight why renters need to have the right insurance when they live in homes owned by someone else. There are many things that can go wrong and leave people in the lurch, and having proper coverage can help give them a little more peace of mind even in the worst situations.